Mold builders, molders, and plastic parts producers run into disputes when a part is not in spec or ends up not working properly; as a result there tends to be a great deal of frustration and finger pointing among the group. Mold makers often have to make assumptions when drawings are incomplete; changes to material lots and temperature can also become issues when required data is insufficient. It is common practice to go back and forth between the mold maker and the molder in an attempt to make the part fit as it should. Adjusting molds multiple times to get what the client needs is common, not to mention costly. The end result is a mold that costs much more than it should due to the cost of multiple adjustments. The Polymers Center has expanded their engineering and testing capabilities to solve these problems. With the addition of our Moldex3D, Innovalia Scanner, and SolidWorks software, we are able to provide all the answers in the beginning, to produce a mold that will create a good part the first time. These three sophisticated technologies, working together, provide the vital data needed so the end product works per specification. The Polymers Center has the rare combination of equipment and expertise to analyze, troubleshoot, and recommend adjustments to the process. With these capabilities and support, think of the product quality, speed and cost savings for you and your customers. Part drawings are uploaded to the Moldex3D program and an animation is created to identify success and failures of the mold/part creation process. If a problem is identified, the mold drawings can be adjusted and the software can run the process again to see if the problems have been corrected. Moldex3D is the world leading CAE product for the plastic injection molding industry. SolidWorks is a powerful software program that allows the Polymers Center to manipulate part drawings. With this program, if a drawing needs adjusting, we are able to do that on the spot. We are also able to extract valuable information, such as a solid part drawing from a mold cavity. 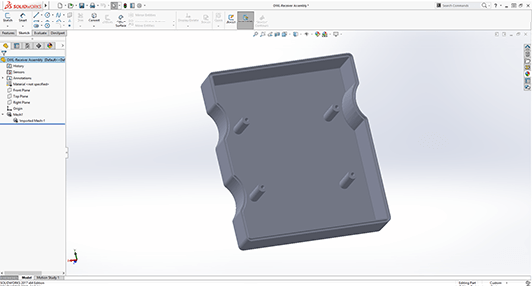 Additionally, Solidworks allows us to manipulate current mold drawings including part, runner and cooling lines – or we can create completely new drawings. 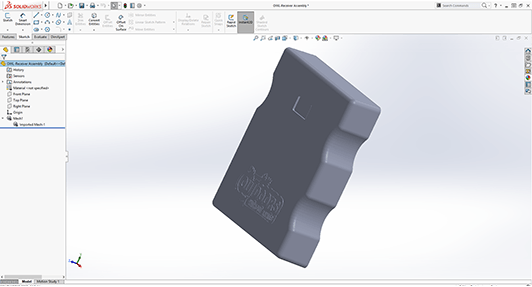 With SolidWorks, the Polymers Center is able to help customers even more because we can show how changing the mold will ultimately affect the part. With our new desktop 3D printer, the Polymers Center can help our customers design and prototype new parts. 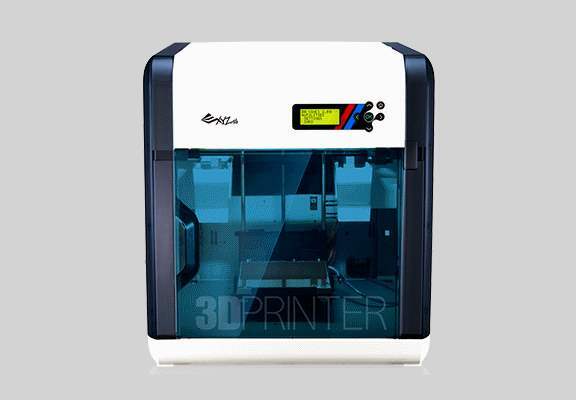 The Da Vinci 2.0 Duo 3D printer features a dual nozzle allowing for the printing of two different materials or colors in the same job. For a detailed piece, the support is a water-soluble filament; Simply drop the model in water to remove the supports and have a clean, smooth part. One stop shop for customers looking to compound a resin, characterize their material in our testing lab, simulate an injection molding process, mold their parts in one of our injection molding machines and verify the dimensions of their part to ensure that it will work in their application.